Want Experienced Vinyl Siding Installers? You have plenty of Kansas City vinyl siding contractors to choose from, but we want you to be sure that you’re getting everything you possibly can from yours! Choosing Above All Construction is a sure bet that that’s exactly what will happen. We have customers all over the city and beyond who refuse to use any other Kansas City siding contractors because they’ve seen the amount of time and skill that goes into every job that we do! Most importantly, those customers have been overwhelmed with their results and wouldn’t trust their vinyl home siding to anyone else! If you’re in the market for Kansas City vinyl siding installation, you’ve probably already done your research about the product. You may even be replacing a first round of siding after many years of a job well done. Whatever the case, you now know that vinyl is an excellent material for home or business exterior. Vinyl lasts a long time and is very durable, practically eliminating the need for Kansas City vinyl siding repair, but when your siding does get damaged, you can always call Above All! Vinyl siding is far cheaper than many other exteriors, and it will last a long time with little maintenance and few repairs. This all adds up to major savings in the long run for your home or business! A quick pressure wash, either by the property owner or by a contracted company, is all it takes to make dirty vinyl look brand new again. It’s inexpensive and easy to keep vinyl siding looking good until it’s time for your Kansas City vinyl siding replacement! When something is as easy to handle as vinyl, many Kansas City siding contractors will take it for granted, not giving each job the appropriate level of attention. That’s one thing you’ll never have to worry about with Above All Construction! Your new siding can be formed to look like other home exteriors, but without the maintenance that those materials require. 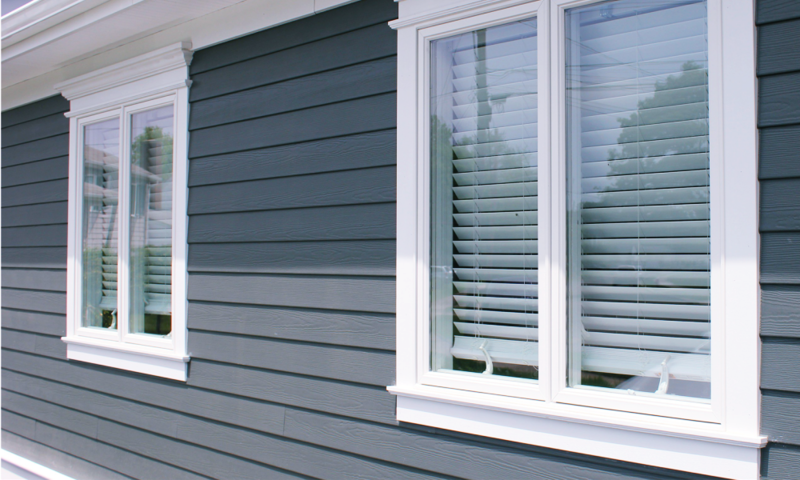 Vinyl home siding comes in many different colors, patterns, and textures for YOUR perfect match! Above All Construction is the leader in Kansas City vinyl siding installation for homes and businesses. We can have your siding installed quickly and improve the appearance of your property within hours or a couple of days, depending on the extensiveness of the project. Kansas City vinyl siding is protective, beautiful, and long-lasting – all the things you want for your property! We can even do Kansas City vinyl siding replacement to make your home, garage, pool house, and/or storage buildings all coordinate with one another for a beautifully unified appearance. When you need a company that can handle everything – from your roof repairs to vinyl siding installation – call the only company in Kansas City that can do these things plus much more, Above All Construction!